The work, practices and assignments you have given me are REALLY HARD AND NEAR IMPOSSIBLE TO DO. I decided to let go of my attachments, silly samsaric expectations and selfish reasonings and suddenly your instructions became so much easier for me to follow through and carry out. Until the end of my life, I will carry out your instructions my precious guru. Your instructions are much better than the ‘instructions’ given to me by my parents, peers, friends, elders and many people I met along the way. I know I will not heed what they say but will follow what you say all the way. I look at your qualities and the way you lived your life and I know your advice is correct. I just let go of my attachments and it becomes easier. 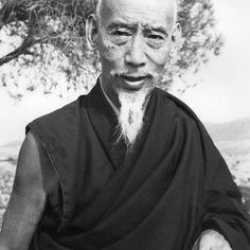 I love you Kyabje Zong Rinpoche. Thank you Rinpoche for this profound teachings. 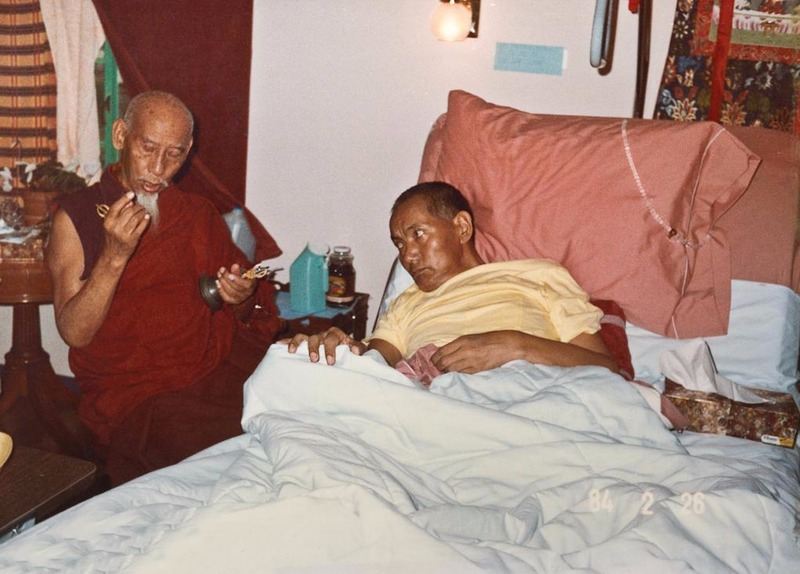 Rinpoche’s compassion and guru devotion is one example of how devoted Rinpoche to HH Kyabje Zong Rinpoche. We shall never abandon our spiritual teacher no matter what happened along our spiritual path. We are fortunate to have Rinpoche teaching and guiding us all. By letting go our attachment our mind will be more open in life. 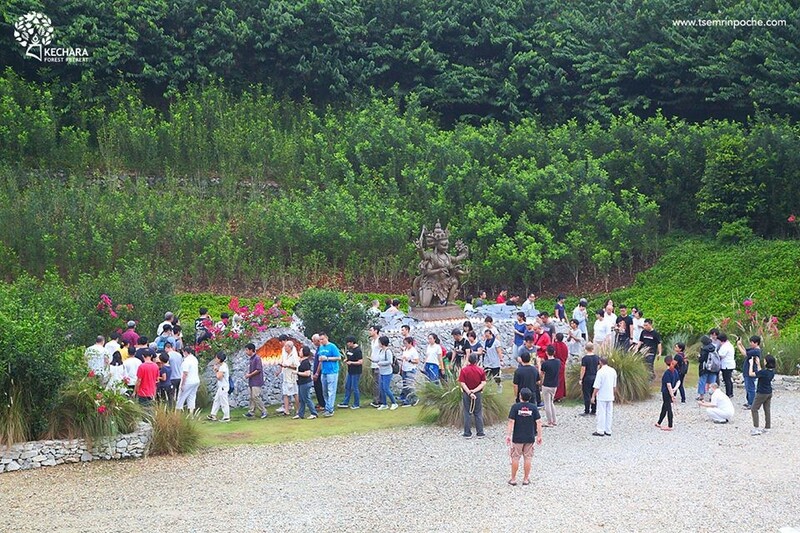 I found Rinpoche’s blog and found Kechara Soup Kitchen. That’s where I am today, learning and practice Buddhism and it has changed my life to live a life meaningful. Thank you Rinpoche for given us the best examples on how we can devote ourselves to a Guru correctly in thoughts and deeds. The reason Guru instructs challenging tasks are for us to transform our mind so we can accept and work hard to achieve it. The task is hard because of our fixed mind and perception on how things should be done. When we let go of our pride and trust our Guru, all things will become easier. It is never easy to be the ‘bad’ person but Guru out of his compassion take up this role to guide us , just so we can transform to be better. Thank you Rinpoche for your teaching. Rinpoche is no ordinary person. Any “ordinary” person would give up if they were given instructions to teach people like us. Rinpoche’s compassion and guru devotion trumps all of us and inspire us to achieve the same. A short and sweet letter laced with huge doses of Guru Devotion for us to emulate. 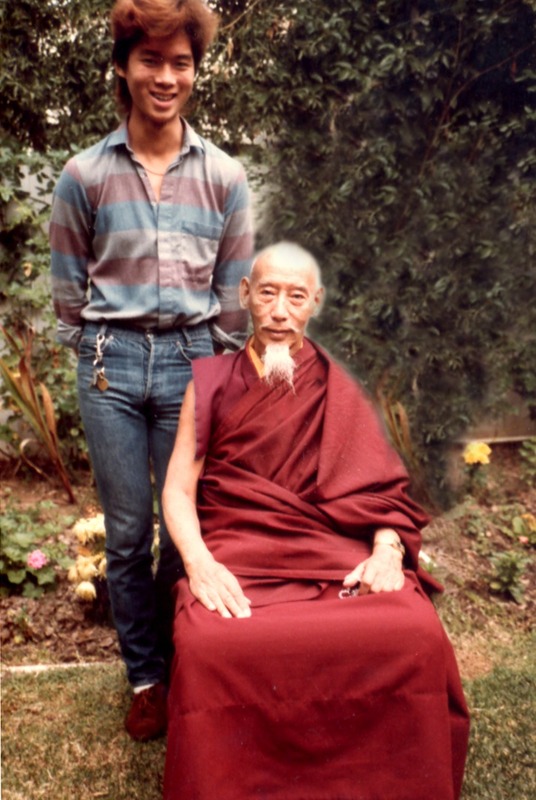 Thank you, Rinpoche, for showing this humble and ridiculous student what true Guru Devotion should be. 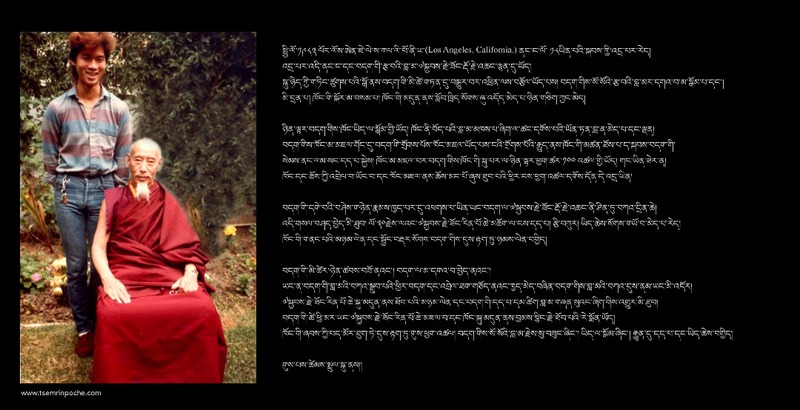 What a beautiful Guru Devotion that Rinpoche is portraying.. 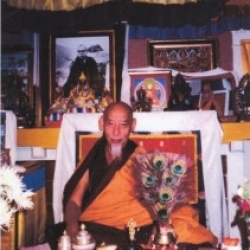 Even though Rinpoche said that Rinpoche does not want to go out of the monastery to teach at another country, but because Rinpoche’s guru devotion. Rinpoche trusts and go all the way with H.H Kyabje Zong Rinpoche’s instructions. 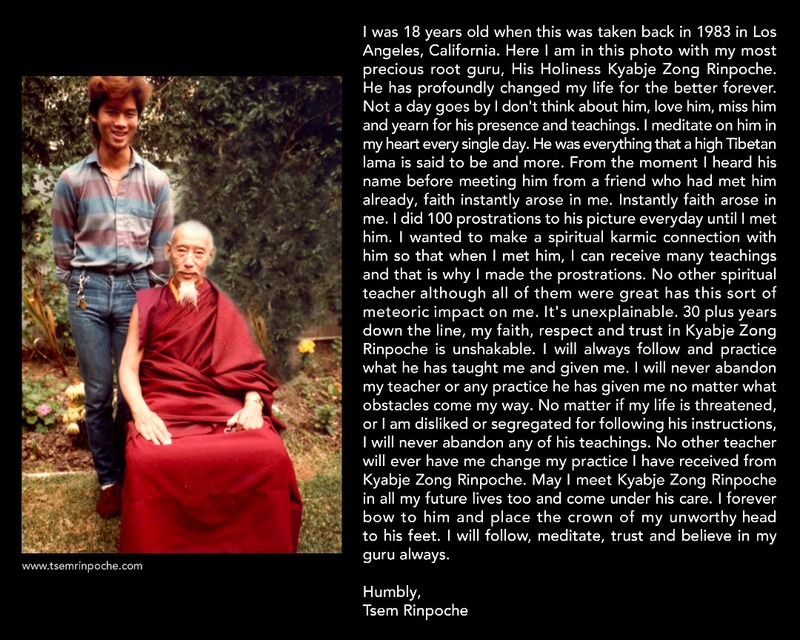 I truly admire this trait(among others) of Rinpoche.. Admirable and inspiring! Thank you, Rinpoche.. For everything! Today, Tsem Rinpoche received a message from the incarnation of Zong Rinpoche, who invited Tsem Rinpoche to visit him in Gaden. 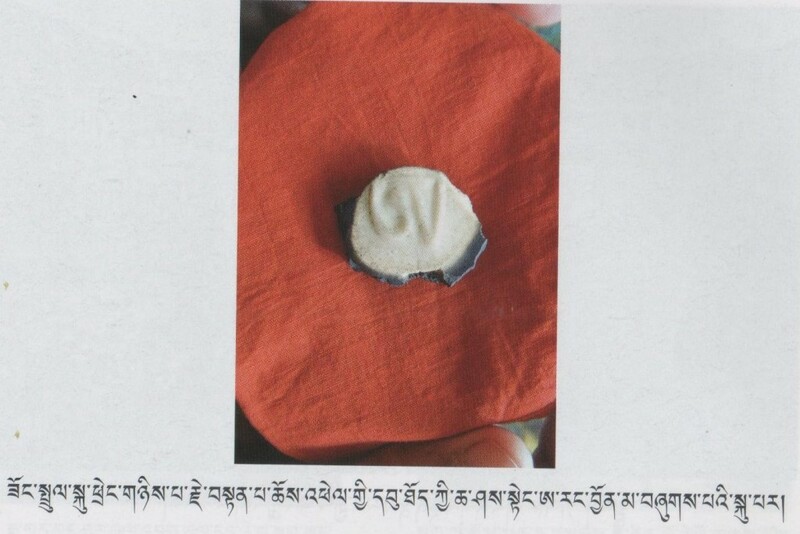 This is evidence of Rinpoche’s clean samaya with Zong Rinpoche, which has led one full circle. I know Tsem Rinpoche is very busy with our work here in Kechara and cannot travel at the moment but i do hope that Tsem Rinpoche will be able to meet his Guru again soon! For us students, we can learn from Tsem Rinpoche’s example and put aside our attachments to make our Guru’s instructions the highest of priorities and if we follow this, and keep a clean samaya with our Guru, we will definitely reap the right results. 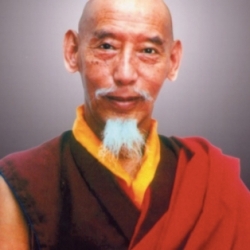 By being a devoted student of Kyabje Zong Rinpoche, we gained a Guru in you. 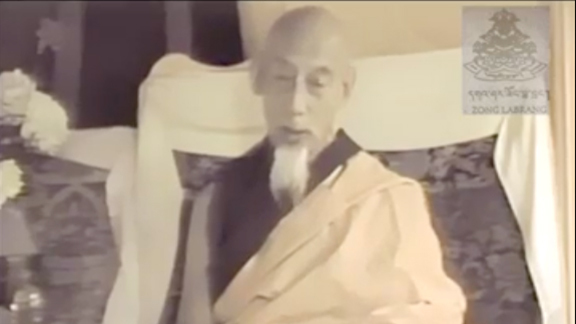 Thank you, Kyabje Zong Rinpoche, for guiding our Rinpoche. 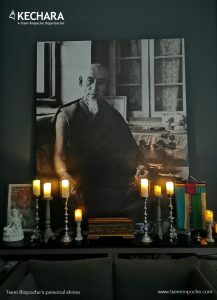 Thank you, Rinpoche, for guiding us. Thank you for this message. Thank you for pretending to be a normal student, and showing by example what all students of Buddhism who have the fortune to be near a teacher should do. 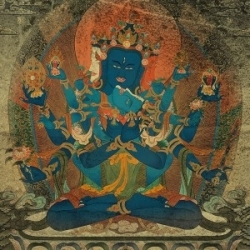 Thank you for writing this one verse, in which Rinpoche has made concise the essence of Guru Devotion in the Vajrayana tradition. This should be taken as heart advice by all Rinpoche’s students as it tells us what to do, whether in times of crisis or on a day to day basis. I will follow. I look at this post with ‘new eyes’. I see now why Rinpoche has been urging us to go on social media in a long time and i see now why I’ve been resisting. It’s all my negative fears and habituations coming in the way. Just as you observed your Guru, Kyabje Zong Rinpoche’s exemplary qualities and how he lived his life, always focused on benefiting others, so have I observed you. We all know that Rinpoche doesn’t exactly love to go on social media, but because of your great love and compassion for all,you have not only mastered it, but taken it to great heights. So now we must do the same, always remembering it’s not to feed our self-cherishing mind, but to open up our hearts and minds to bring peace and happiness to all, that we now must immerse ourselves in social media. 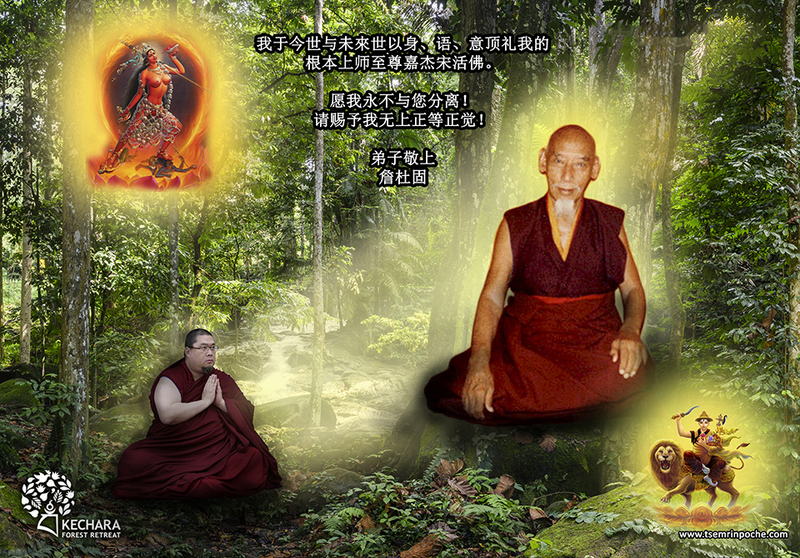 HE Tsem Rinpoche’s guru devotion is legendary among the monastic community. 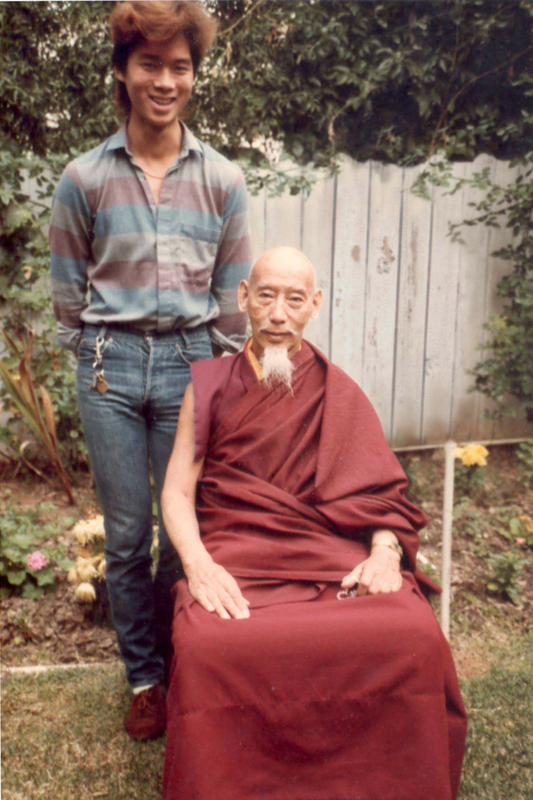 Even though HH Zong Rinpoche passed into clear light so long ago, Tsem Rinpoche’s faith and guru devotion to Zong Rinpoche still remains as strong today as it was then. 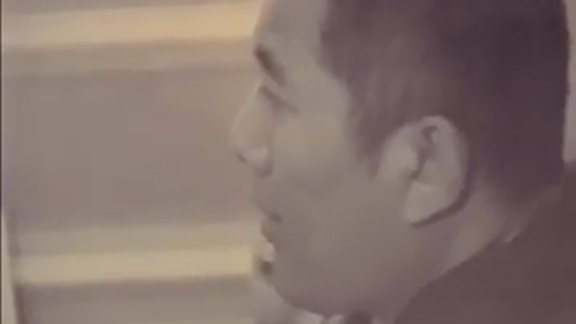 Tsem Rinpoche embodies the “50 stanzas of Guru Devotion” (http://www.youtube.com/watch?v=MsnoJEwXjyM). 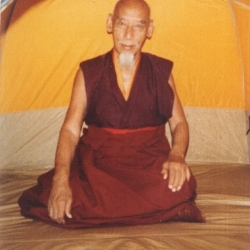 In Rinpoche’s iconic book, Gurus for Hire, Enlightenment for Sale (http://vajrasecrets.com/books/english-books/gurus-for-hire-enlightenment-for-sale.html), Rinpoche talks about Zong Rinpoche and how he served Zong Rinpoche when he was a teenager. 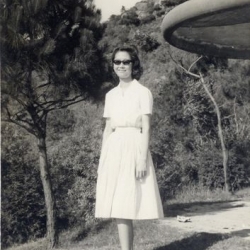 Rinpoche was never taught how to serve, he just did – out of pure devotion. 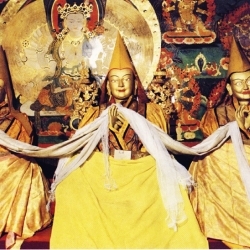 Even the decision made by Rinpoche to be ordained and go to Gaden was based on his complete faith in Zong Rinpoche as Heruka himself. Rinpoche shows us by example how the guru-disciple relationship should be and how by following our guru’s instructions to the T, and surrender our own delusions, we will achieve all the results we aspire for. Thank you Rinpoche for Rinpoche’s guidance always. 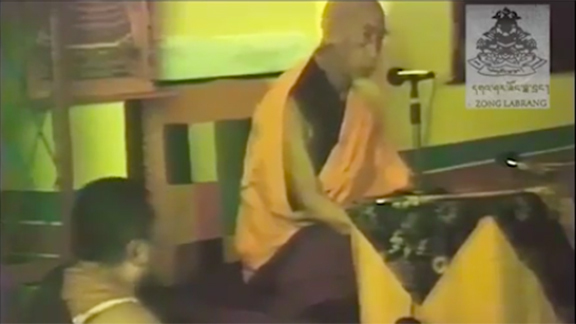 Dear Rinpoche, thank you for this short yet powerful teaching. After i met Rinpoche, I realize because of our attachments or bad habituations, we become very selfish. Selfish in a way that we do not even care to follow guru’s instructions or assignments that actually will help us in overall. In fact, we become very selective on assignments that we like to do. This is so wrong. This teaching has taught me nothing is impossible, if we have full faith in our guru. This letter to your precious Guru is so inspiring. I know I am no where near to your qualities, these are the qualities I am putting into practice in every little way I can. May I be able to devote to my guru like you do. 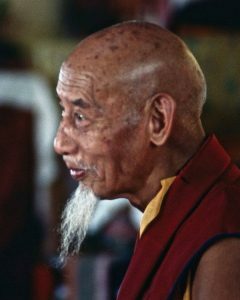 Dear Rinpoche I was immediately drawn to this photo of H.H.Kyabje Zong Rinpoche.It seems to me to capture all the Wisdom of the Ancients.I had the great good fortune to meet H.H.in the early 1980s when He visited London and stayed at the then Manjushri London Centre,now Jamyang B.C. It was clear to all that H.H.was the very epitomy of all that is wise, compassionate and powerful,and a little scary, at least to this rather feeble mind.They were exciting and happy times and feel privileged to have been introduced to the precious Dharma by such great Masters. And now having found your website it seems like the source, and resource to inspire us all and the fulfillment of the Guru’s purpose. Glorious Teacher of our Time. when i read your words to your lovely Guru H.H. 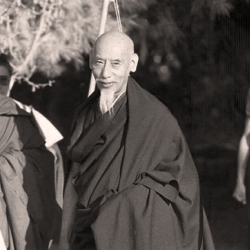 Kyabje Zong Rinpoche, i feel so much love and compassion from you to him. i now your mind and the mind of H.H. 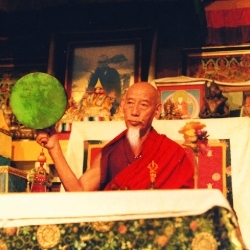 Kyabje Zong Rinpoche are the same and not different. I am a nobody, i know. But i want you to let know, that you are really the best model for a good student. how could anybody say anything different? samsara is not perfect, i know. but if the motivation is pure, the fruits will be the same.that´s karma, isn´t it? please stay healthy and happy for long long time. i really love you. samsara will be stay a long time, right? so i know we will see us some day. 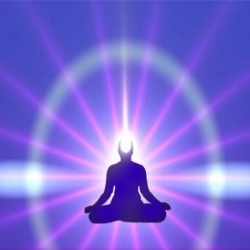 if i don´t come into hell, i will stay in samsara to help all the others.ok…not everyone will be happy to hear, that i will stay ^^ in love and light. Letting go has been one of the greatest lessons I have learnt since meeting Rinpoche. The biggest thing I let go is my Ego for all the wrong things. Today, I have converted that same energy of preserving my ego to wanting to succeed and fulfill all Rinpoche’s instructions to me. At times I am overwhelmed by how much there is to do, and I go into a silent panic attack. I then just let go of my attachment to “what is a lot” and just tell myself, “If Rinpoche says I can, I can Full Stop.” Then I just go! 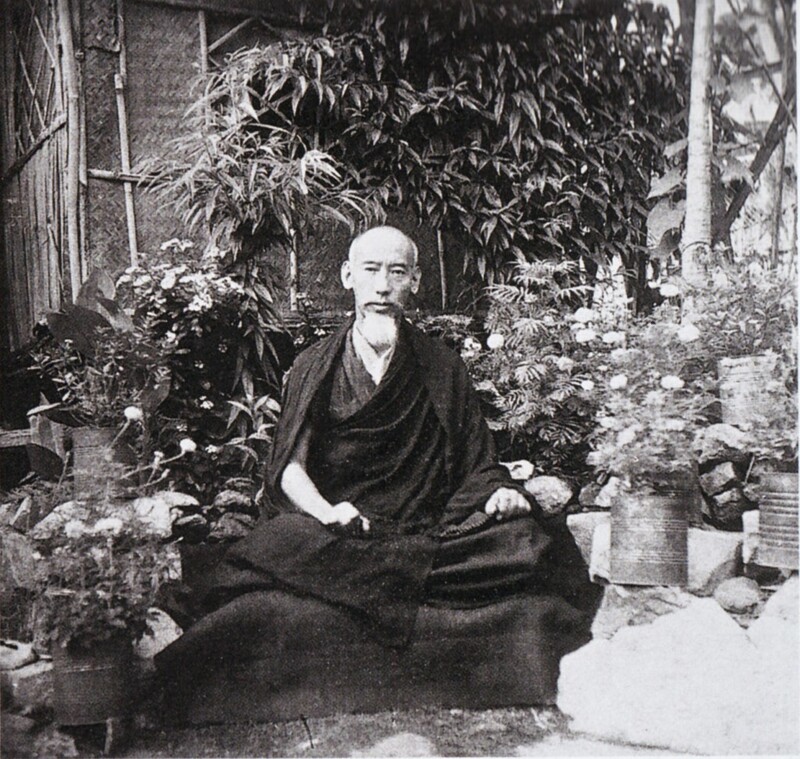 Thank you Rinpoche for this picture of Zong Rinpoche. I like this picture a lot. He looks very grand. I have not met him but hearing about Zong Rinpoche from Rinpoche always touches my heart. 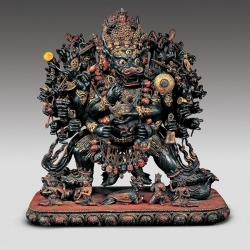 It put all of us to shame on how we fail to serve Rinpoche compared to how Rinpoche serve Zong Rinpoche. 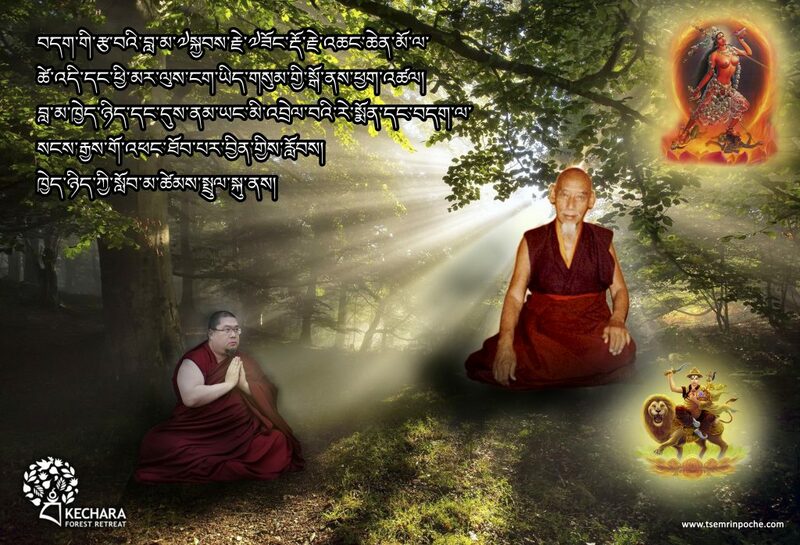 Our Guru Devotion can never be compared to Rinpoche’s. 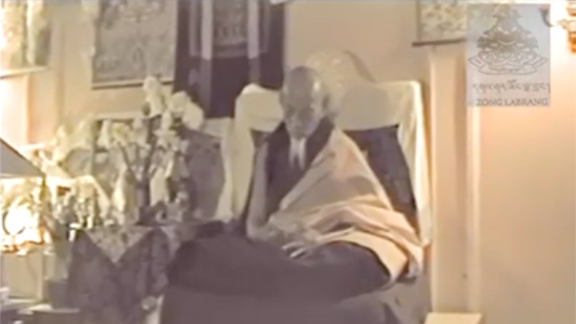 Even till today, Rinpoche still holds on to the promises Rinpoche made to Zong Rinpoche 29 years ago in 1983. Many of us, would have forgotten our promises we made even 2 years ago or some a month ago. 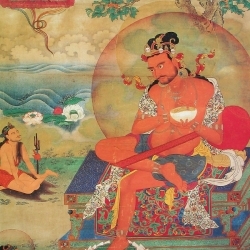 I learned a lot about guru devotion from the stories Rinpoche relates to Zong Rinpoche. 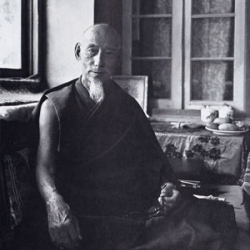 And I aspire to work towards the devotion Rinpoche has for Zong Rinpoche. Thank you for this wonderful teaching Rinpoche. What is “possible” or “impossible” are all decided in our own minds and we are usually motivated by things we like and we talk ourselves out of doing things we don’t like. In that way, we limit ourselves. We are all the better because Rinpoche has never let “impossible” situations override his great kindness to teach the dharma. 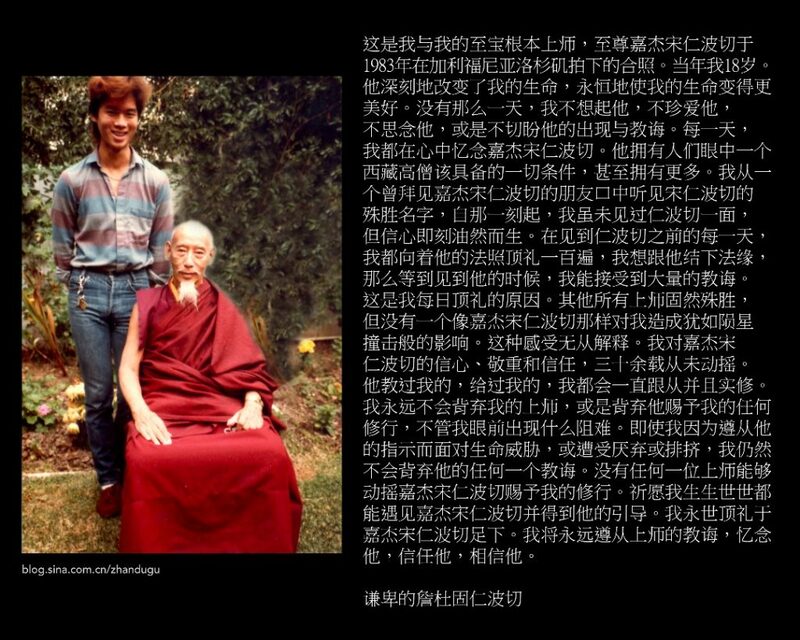 Without Zong Rinpoche, we will not have Tsem Rinpoche. Without Tsem Rinpoche, we will not have Kechara and all the beautiful teachings, love, care, understanding, changes in lives, people that comes with it! Thank you for all you have done Rinpoche! For I too will not be here without Rinpoche and have meaning in life. For a normal people, it is hard to have strong devotion to his/her guru; harder to follow 100% instruction from his/her guru; hardest to let go all the attachments in life. Today with your action, you are our role model and showing us all these can be done. I still have many many things to do and learn in order to strengthen my guru devotion. I love him too!! silly american women, but I know he recognize me from somewhere..such a big smile . 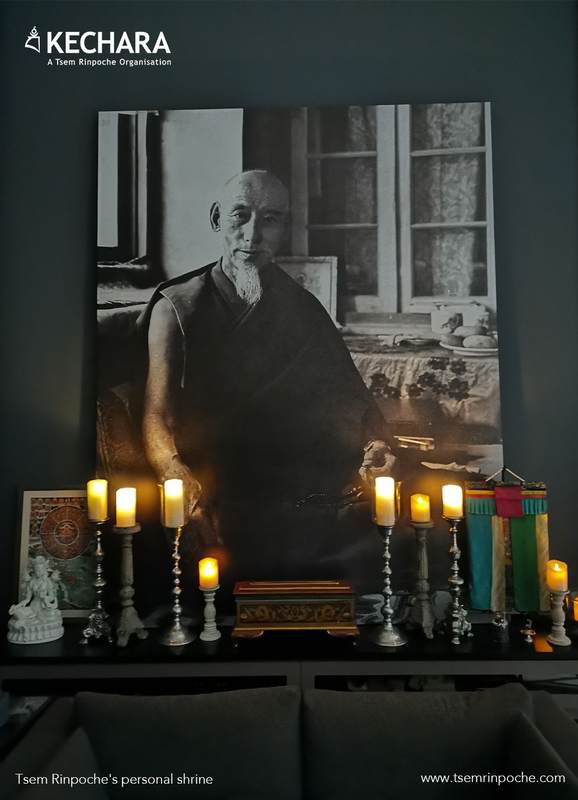 The way Rinpoche elucidates the wisdom…its so clear and simple yet so profound and I can relate to it so well…your wisdom light dispels the darkness in every crevice in me. Let me never be far from you but always receive your wisdom rays. With Great Devotion! Thank you again and again Rinpoche for everything you are doing for others. Your way of teaching cuts trough all obstacles and is so beneficial as a strong example of what to do and not do. Your teaching goes right to my heart and even I am very dedicated to my teacher and already as given 20 years of my life to work at his side, I keep learning from you and it keeps me on the right track to work with my teacher in the beat way I can. I am so far from the Nine Attitudes from Guru Devotion and I am so inspire by it as it is exactly what I need to work with. I am such a slow learner but your teaching is giving me precious tools to keep doing my work in the best attitude towards my teacher. I am eternally grateful for everything you are doing to help us all in every way you can. Deeply in my heart I rejoice to have found you on the internet I am so happy for all your guidance that resonate strongly in me and helps me to be a better person and a better student. You are truly one of a kind. You may be ridiculous (as you said), funny or anything but deep down, you are ridiculously hard working, kind and compassionate. We are so fortunate to have you as our modern day Guru.